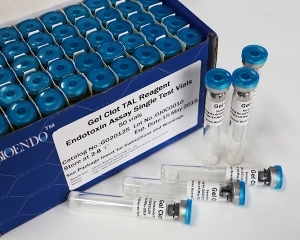 Rapid Gel Clot Endotoxin Assay Kit, result in less than 30 minutes. 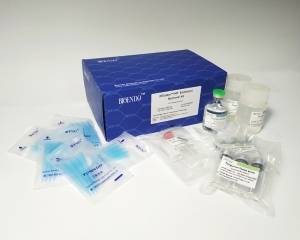 The test kit comes with product positive control (PPC) tube and sample tube, pyrogen free pipettors, pyrogen free sample bottle. 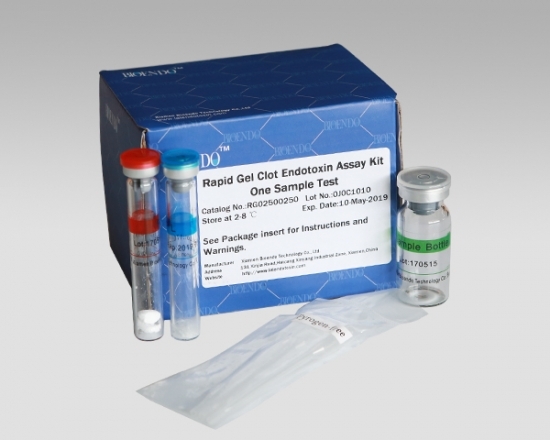 Rapid Gel Clot Endotoxin Assay Kit is a rapid gel clot endotoxin test costs less sthan 30 minutes. 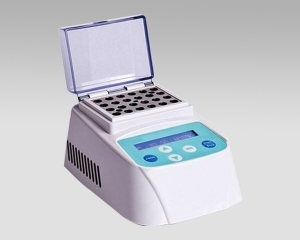 It is designed for water, dialysate or other testing in applications that do not require FDA-licensed LAL. 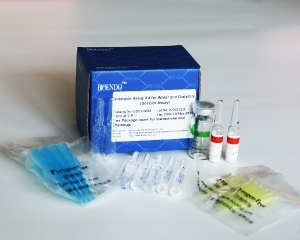 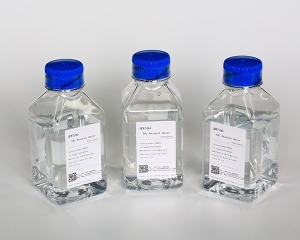 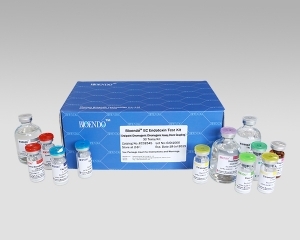 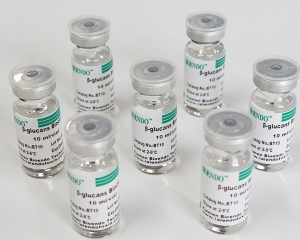 The kit contains one limulus amoebocyte lysate LAL sample tube, one positive product control tube, one depyrogenated sample bottle, and three depyrogenated pipettors. 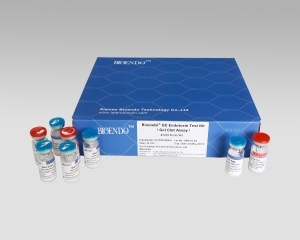 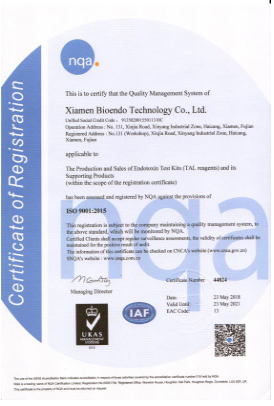 It is convenient and rapid detection of endotoxin without dilute Control Standard Endotoxin and test samples. 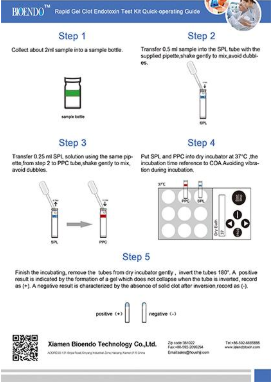 This method does not need professional training and does not require additional experimental equipment, suitable for rapid detection of bacterial endotoxin of various samples in life science research. 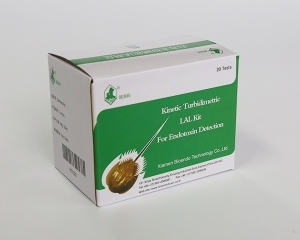 Endotoxin testing for water, dialysate or other samples that will not interference with LAL and endotoxin reaction. 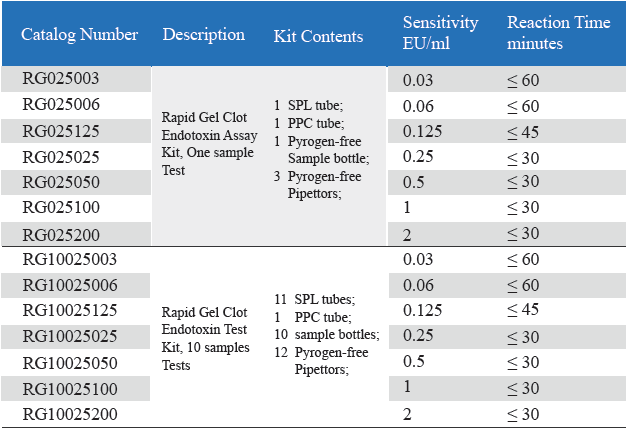 Rapid detection of bacterial endotoxin of various samples in life science research. 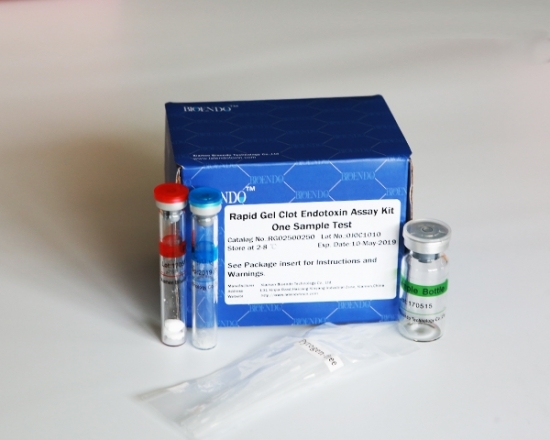 CFDA cleared endotoxin testing kit for human plasma for diagnosis of gram negative bacterial infections, sepsis. 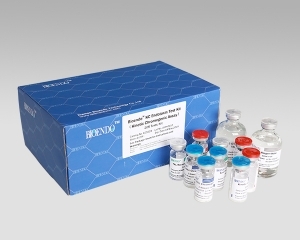 CFDA cleared Clinical diagnostic Endotoxin assay kit quantifies endotoxin level in human plasma.